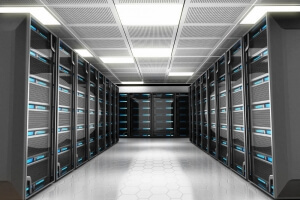 Aisle containment solutions are designed to optimise performance and reduce operating costs for data centres. They utilise innovative technology to manage airflow by eliminating by-pass air. The solutions are easily installed in existing and new data centres and are both cost effective and energy efficient. The hot or cold aisle containment solution provides a number of efficiency benefits to a data centre environment. Cooling systems may be set at a higher supply temperature whilst maintaining safe operating temperatures. Without aisle containment, the danger of hotspots means that cooling systems need to be set at much lower temperatures. Hot spots frequently occur when cold air streams pick up heat before they reach the IT equipment. Aisle containment ensures that the air temperature at the IT inlet is the same as the air temperature at the cooling unit. The ability to operate at higher supply temperatures provides substantial energy savings. Economiser mode hours can be increased. During periods when the outdoor temperatures are lower than indoor temperatures, the economiser mode turns off the cooling system compressor to save energy. As aisle containment raises the set point temperature of the cooling systems, the number of hours during which the economiser mode kicks is increased. Humidification / dehumidification costs are reduced. As aisle containment allows the raising of air supply temperatures, the cooling system can operate above the dewpoint temperature. When the air supply is above the dewpoint temperature, it will not remove humidity from the air. This reduces the role of humidification systems, saving energy and water. Physical infrastructure is optimised. Without aisle containment, equipment must be oversized for traditional cooling systems as extra fan power is necessary to cope with underfloor obstructions and to pressurise the raised-floor plenum. With aisle containment, oversizing is not required, allowing for greater efficiency in equipment processing. ContainAire Aisle Containment Solutions are a range of aisle containment products designed for cold aisle and hot aisle containment solutions. ContainAire is manufactured by Tate Airflow, a global brand specialising in next generation airflow management solutions for data centres. All Tate Airflow manufacturing facilities are certified under the ISO:9001:2008 Certified Quality Management System, the ISO:14001:2004 Certified Environmental Management System and the OHSAS 18001:2007 Certified Occupational Health & Safety Management. Cold aisle containment keeps the cold supply air enclosed within the aisle so that it is only exposed to the IT equipment and cannot leak out over the aisle ends or tops. Cold aisle containment involves the provision of ContainAire Partitions and a hard roof to contain the supply air flow and reduce by-pass airflow. Typically the roof is no higher than the rack, which avoids potential obstructions such as cable trays. Cold aisle containment provides for a regular and consistent air temperature at the IT intake. ContainAire partitions can be placed around the top of the racks providing there are solid ceiling tiles over the aisle. Constant airflow with varying loads can waste energy by forcing air through the servers even when they are idle. The SmartAire P works to eliminate leakage by modulating the airflow in the cold aisle. See below for further details about SmartAire P.
Hot aisle containment isolates the hot exhaust air on its return to the cooling units. Physical barriers are installed to guide the hot exhaust airflow, ensuring it does not mix with the cold airflow in the rest of the room. Warm air naturally rises, so hot aisle containment systems utilise ContainAire partitions around the top of the racks to direct warm airflow to ceiling return grilles. Occupational Safety and Health Administration (OSHA) regulations limit the length of time a technician can work in elevated temperatures. The SmartAire T enables on-demand airflow to be directed into the hot aisle to bring down temperatures so that essential work can be performed for as long as necessary. See below for further details about SmartAire P.
ContainAire Sliding Doors are constructed from fully transparent polycarbonate and are optimised for both cold and hot aisle containment designs. The doors are both cost-effective and simple to install. There is no threshold, thus eliminating the risk of people tripping. Finish options include clear anodized and black anodized. The sliding doors come pre-assembled for easy installation. The door frames can be connected to a header rail and then secured to the end cabinets and raised floor. The doors are fully compliant with National Fire Protection Association (NFPA) requirements on fire safety. ContainAire Strip Doors provide a cost effective overlapping solution for sealing aisle ends. They feature overlapping vinyl strips mounted on anodized tracks which work effectively to prevent leaks. ContainAire Soft Partitions are a ceiling hung pliable polycarbonate containment system for hot and cold aisle environments. The soft partitions are constructed from aluminium tracks with overlapping fire resistant vinyl curtains. The overlapping curtains provide a seamless partition, improving air containment. The partitions attach to a drop T ceiling grid. Assembly is quick and simple. No tools are required. ContainAire Soft Partitions feature a Pivot and Grip installation method providing for easy adjustment of partitions without disassembly. ContainAire Hard Partitions are constructed from anodized aluminium with clear polycarbonate panels. They can be customised to seal spaces of varying dimensions. The panels are pre-assembled and installation is quick and simple. The design incorporates compression gaskets to efficiently seal the space and reduce air leakage to a minimum. ContainAire Hard Roof Panels are clear translucent panels mounted on aluminium tracks which are designed to work with cold aisle systems. They separate hot and cold air flows to optimise the cooling capacity of any data centre. The panels attach to the top of the rack and lie flat to avoid overhead obstructions. In case of a fire, the roof panels fall away to allow overhead water sprinkler systems to do their work. The hard roof panels are durable and come with pre-assembled sections for quick and easy installation. When servers are idle, they draw less air from the contained system, leading to an increase in static pressure. The build-up of static pressure forces air through the servers even if the fans are off. This wastes energy. The SmartAire P (pressure sensing) Variable-Air-volume damper can be installed under airflow panels. It is designed to vary the airflow into a contained system to maintain static pressure levels and reduce by-pass air. Operation is fail safe and there are no maintenance requirements. Hot aisle containment systems often operate at temperatures which are high enough to require safety limits on the time a technician can work on the equipment. OSHA regulations limit exposure and require regular rest periods when working in high temperatures. This is detrimental to productivity. The SmartAir T (Technician) unit allows the technician to reduce the temperature of the hot aisle before he starts work. The unit works to modulate the amount of cool plenum air which enters the hot aisle. When the air temperature is sufficiently cooled, the technician can work comfortably and safely in the contained aisle without the need for rest periods. The SmartAir T unit allows for maximum productivity whilst being fully compliant with OSHA requirements. By-pass air is air delivered into the data centre which is not consumed by the equipment and exhausted as waste heat. It can significantly reduce the cooling capacity of a data centre. Air Sealing Grommets improve energy efficiency and air sealing performance by preventing air leakage from the raised floor plenum due to openings required for power and data cables. Wave – an injection moulded plastic design with a rigid lid. Split Integral – designed to accommodate a variety of cabling requirements. Surface Mount – designed to seal raised floor panel cut-outs. Mini – designed to seal small cable openings in raised floors. Extended – designed to seal a variety of larger openings such as gaps around CRAC and CRAH units. Blanking panels prevent the migration of hot and cold air through unoccupied areas of an IT equipment rack. Installation is simple. No tools are required. Pass through blanking panels utilise an innovative aluminium and hybrid brush technology to effectively control airflow. They work to effectively seal airflow for areas with pull-out switches or servers that need to be occasionally extracted. Full rack blanking panels eliminate gaps in the server rack to create a contained server rack environment and significantly reduce by-pass airflow. Under rack panels are designed to seal openings of varying sizes under equipment racks. They are easily modified for new and retrofit installations. Air sealing self-expanding tape provides an excellent seal for unique spaces with varying dimensions.